This edition of in my palm showcases 90 fine cherita and cherita terbalik from writers and poets who hail from UK, USA, Singapore, India, Philippines, Italy, Australia, Ireland, Canada, and New Zealand. in my palm is the last edition of 2018. So much has happened this year – we’ve had a Mad about Cherita contest being the first ever Cherita competition dreamt up by Christine L. Villa of frameless sky, a small selection of my cherita translated into Hindi and Punjabi in under raintrees by Arvinder Kaur in India, the first Cherita book Whispers of Dawn, A Book of Cherita by Celestine Nudanu in Africa, and my selection and editing of Larry Kimmel’s long-stemmed roses, to name just a few exciting happenings in Cherita’s continued growth. I have also had a selection of my published cherita set to music by Richard St. Clair and I have been invited to give a lecture once upon a cherita . . .in the prestigious Peranakan Museum in Singapore about cherita and storytelling, to hopefully start 2019 off with a loud bang. My writing class once upon a cherita . . . has yielded two budding cherita poets to date who have taken to the cherita with much enthusiasm and gusto. I wrote about the first new poet last month and she is now joined by another promising new poet. The two poets retain their own voices in the way they write the genre. I have been asked to reprise my cherita writing class for another twelve weeks in the new year to be followed by a further twelve weeks. At this rate, I may have to extend my class by a half hour each week. STOP PRESS – A third cherita poet has just joined the two poets I mentioned above. I can’t tell you how exciting it is for me to nurture fresh talent. I am hoping that 2019 will produce even more exciting fresh cherita voices eager to share and tell their stories. Fingers crossed. I have edited this edition as I have all the other editions of the cherita, to be experienced two ways. It can be read as one storybook but also as an anthology of individual poems. Two reading experiences within one book, filled with stories of Life, Love and Loss. cherita terbalik continues to capture the imagination of poets and there are again fine examples in this edition. I would like to take this opportunity thank all of you – poets, writers, contributors readers and cherita enthusiasts for your unstinting loyal and kind support for 2018. Please keep the cherita campfires burning into 2019 and beyond. Amazon launches Free Delivery Week promotion for all customers. We have a fantastic promotion for you to share with your visitors! From 29th November to 5th December, all Amazon customers can enjoy free standard delivery, with no minimum purchase amount, when they use promotional code FREEDELIVERY at checkout. The promotion applies to all items listed as “dispatched” or “fulfilled” by Amazon on the product detail page and is available for millions of items with no minimum order amount, including top gift ideas like toys and electronics, as well as home items, fashion and more. The promotional code can be used multiple times throughout the Free Delivery Week promotion. Your cherita stories continue to inspire short form writers and readers and so please keep on writing them. If this new edition strikes a chord with you, please feel free to review, comment on Amazon or give a feedback directly to me. Many thanks. once upon a cherita . . . I have been invited to give a lecture on cherita and storytelling in Singapore on Monday 7 January 2019 at the Peranakan Museum. The museum explores the art and culture of Straits Chinese communities in Southeast Asia, and which houses one of the finest and most comprehensive public collections of Peranakan objects. As a Straits Chinese woman or nyonya, I feel honoured to be giving a presentation in this prestigious museum where a large number of my late mother’s personal collection of fine kebayas, sarongs and related accessories have found a home. One set of her personal kebaya and sarong have been on display in a glass cabinet within the museum since my mother’s death in 2011. It would be like going home for me come the evening of my talk as the lion city has always been my mother’s spiritual home. My lecture once upon a cherita . . . will take you into the timeless world of stories and storytelling with my personal Peranakan family stories, published cherita and other short poems. This presentation will be an hour long, accompanied by a power point presentation of vintage archival family photographs and text, and concluding with Q & A from the floor. You are all invited to step into the vanishing world of the Peranakans – the Straits Chinese of old Malaya and Singapore. Seating will be on a first come first served basis. If you live or happen to be in Singapore on and around this date, it will be lovely to meet you. Do please come forward to make yourself known to me if you are in the audience. which features 90 virgin Cherita with a one poem to a page format, and now available in paperback and on kindle on Amazon. To celebrate and coincide with the announcement of my forthcoming lecture in Singapore in January 2019, I have decided to launch my third book of cherita and continue telling and sharing stories that need to be told. This edition of snow ghosts showcases 90 fine cherita and cherita terbalik from writers and poets who hail from UK, USA, Singapore, Ireland, Canada, India, New Zealand, Italy, Romania, France, Poland and Australia. snow ghosts take us all into the season of mists with shorter days and darker nights. I have enjoyed selecting and collating this edition, and as always, I have tried my best to ensure that each edition of the cherita will give the reader a very different reading experience from the previous editions. As for my once upon a cherita . . . writing class, I am pleased to report that I may have found a new cherita poet. She is not only extremely enthusiastic about the genre, but writes from her own personal truths thus giving her words much poetic power. I have asked her to put together a submission for the cherita, and I am looking forward to receiving her contribution. She will be part of the growing list of new and good cherita writers. Thank you for all your submitted cherita and for sharing your stories. These stories will now be read far and wide and hopefully inspire even more writers and poets to come forward with their own efforts, all of which are precious personal tales. Your collective support keeps the cherita strong with words to entice and draw out the inner storyteller who lives in all of us. This edition of the stories showcases 90 excellent cherita and cherita terbalik from writers and poets who hail from UK, USA, Singapore, Ireland, West Africa, New Zealand, India, Australia, Canada, Lithuania, Poland, and Italy. New blood is essential for any poetry journal and again we have several new names to add to our growing list of cherita contributors. I started my once upon a cherita writing class today and it went really well. This will be an 11 week writing course which I am running at the U3A in London for my first term. I’m proposing to share my personal cherita as well as cherita from the cherita over the coming weeks. Do watch this space for updates on these ongoing cherita classes. My grateful thanks go out to everyone who have supported the cherita and made it possible for the emergence of a strong and vibrant edition each month. If this new edition strikes a chord with you, please feel free to review, comment on Amazon or give a feedback directly to me. As part of Amazon.com’s book promotion scheme, these four paperback books above are being promoted and discounted. This promotion has been encouraging for not only the cherita genre but for tanka and haiku too. If you have not had a chance to read the cherita, which has one poem to a page for maximum stillness, and are tempted to, this is a chance for you to experience the diversity of cherita and engage in the timelessness of storytelling. This may also be a good opportunity to read my own first three books on exclusively cherita, tanka and haiku. I don’t know how long Amazon.com is running this promotion for, and so if this offer interests you, please do take advantage of it while Amazon.com is offering this wonderful deal. This edition of taste of rain showcases 90 fine cherita and cherita terbalik from writers and poets who hail from UK, USA, Singapore, New Zealand, India, Canada, Lithuania, Australia, Ireland, Italy, West Africa and the Philippines. After what has been an extremely hot summer in the UK, I felt that I should reflect the much welcomed rain days we are now experiencing in the title of this edition. Your loyal support for cherita and the cherita is much valued by me and I appreciate all your ongoing enthusiasm for the genre. We have, in the edition, several new names whose cherita I am proud to showcase and I sincerely hope that they will become regular contributors to the cherita from now on. I have also successfully migrated a further three of my earlier kindle books into paperback on Amazon. I decided to give them all a new colour cover along with a minor revised layout design which is all part of the mini makeover. Thank you for all your support and more importantly for sharing all your wonderful cherita taking us all into early autumn. drowning jasmine, fish kiss and tenement moon join taste of rain in this combined book launch today. If any of the above four books strike a chord with you, please feel free to review, comment on Amazon or give a feedback directly to me. Many thanks. United States, Canada, France, China, United Kingdom, Ukraine, Germany, India, Russian Federation, Bulgaria, Poland, Czech Republic, Spain, Netherlands, Italy, Indonesia, Slovakia, Latvia, Mexico, Denmark, Romania, Austria, Lithuania, Korea [the Republic of], New Zealand, Turkey, Philippines, Hungary, Ireland, Albania, Moldova (the Republic of), Taiwan (Province of China), Palestine, State of, Kenya, Japan, Iran (the Islamic Republic of), Pakistan, United Arab Emirates, Hong Kong, Ecuador, Serbia, Australia, Finland, Singapore, Vietnam, Unknown, Brazil, Venezuela, Bolivaria Republic of, Bangladesh, Kazakhstan, Malaysia, Colombia, Panama, Slovenia, Nigeria, Sweden, Mauritius. Macao, Malta, Martinique, Oman, Nepal, Norway, Mozambique, Malawi, New Caledonia, Maldives, Zimbabwe, Thailand, Tajikistan, Togo, Syrian Arab Republic, Suriname, South Sudan, Tunisia, Tonga, Uruguay, Uzbekistan, Uganda, Tanzania, United Republic of, Trinidad and Tobago, Somalia, South Africa, Paraguay, Qatar, Portugal, Puerto Rico, French Polynesia, Reunion, Zambia, Sudan, Senegal, Seychelles, Saudi Arabia, Mongolia, Peru, Cambodia, Cote d’Ivoire, Chile, Switzerland, Congo, Belize, Congo (the Democratic Republic of the), Cameroon, Costa Rica, Algeria, Estonia, Dominican Republic, Cyprus, Cuba, Curacao, Byelorussian SSR, Botswana, Argentina, Azerbaijan, Angola, Armenia, Afghanistan, Antigua and Barbuda, Bosnia and Herzegovina, Barbados, Bolivia, Plurinational State of, Bhutan, Brunei Darussalam, Benin, Belgium, Bahrain, Egypt, Ethiopia, Cayman Islands, Lao People’s Democratic Republic, Kuwait, Kyrgyzstan, Jamaica, Jordan, Sri Lanka, Liberia, Madagascar, Macedonia (the former Yugoslav Republic of), Montenegro, Morocco, Luxembourg, Libya, Iceland, Iraq, Ghana, Greenland, Guernsey, Georgia, Faroe Islands, Gabon, Greece, Guatemala, Israel, Isle of Man, Haiti, Croatia, Guan, Honduras and Myanmar. Stories and storytelling are part and parcel of all our collective lives and the cherita is reaching out to everyone who loves a good story. Everyone is very welcome to either read or submit to the journal. If your cherita is featured within any of these paperback editions and you haven’t had a chance to purchase a copy, this may be a good time to take advantage of Amazon’s generous feature or if you are new to the cherita, then why not enter into the world of 6-lines storytelling, flash fiction at its very best. You won’t be disappointed. Poets and writers from far corners of the globe come together to share their collective stories on Life, Love and Loss. A colossal treat awaits you. Larry Kimmel was the first poet to send in his thoughts on how and why he writes cherita and I have posted them on our new Cherita Knowhow page along with mine. I hope you will consider sending your thoughts in. Wherever you are in the world, I would love to hear from you. This is a personal invitation from me to ask you for your thoughts on how and why you write cherita. Your thoughts realised on paper can be anything from a paragraph to a page. I intend to post these as a new feature on the cherita website as and when you send them in to me. As for the reasons why you chose to write cherita, the list is endless. I’ll leave it to you to stir our imagination with your accounts. Below are the guidelines for how you can submit your cherita knowhow to me. I look forward to reading and posting your personal thoughts about how and why you write cherita and I can’t wait for your words to inspire budding cherita poets to start writing cherita. ‘CHERITA KNOWHOW – [your full name]’. Please include your city, state, and country, full name, and email address, in the body of the email and make no attachments. Thanks. the cherita does not pay its contributors nor does it offer contributors’ copies, although they will be available for purchase. Copyright reverts to the author or artist upon publication. the cherita reserves the right to reprint contents from its publications on its website and in future print anthologies without having to seek further permission from its submitters, and all submissions to the cherita constitutes acceptance of this condition. the cherita reserves the right to print online or in print journals and anthologies, in whole or in part, in its sole discretion, all letters and comments to the editor without having to seek further permission from the author, and submission of comments or letters to the editor of the cherita constitutes acceptance of this condition. There are only 19 days left to go before the 31 August deadline for all your cherita submissions for the #2:4, the fourth edition of the second year of the cherita, edited by ai li, launching in September 2018. Once we notify you that we have accepted your poems or artwork for publication, either in the online journal or print journal, please do not share or submit your work elsewhere until we have published your work, or the editor will withdraw your work from publication. We also ask that you refrain from republishing your work in any medium for 90 days from publication in the cherita: your storybook journal. Thanks. 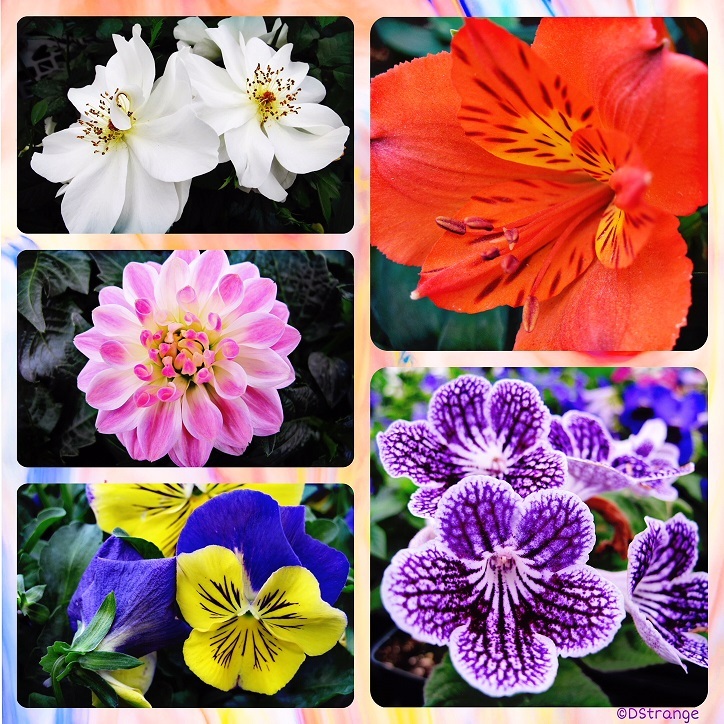 Larry had asked me a while back if I could select, collate and edit a collection of his cherita from 1997 to the current day. I told him then I would be thrilled to do this but that it would depend on my editing and publishing schedule. We have been good friends for over twenty years and I have so wanted to do ‘tough love’ editing for him, which is after all what I do best, to enable the cream of a poet’s work to be showcased for the reading world out there. A small window of opportunity appeared a few months ago and I found sixty cherita which resonated with a love story for the lovers in all of us. As in the cherita and in all my own personal books, Larry’s new book can be read as one long tale of love or as sixty individual cherita reminding us of all the punishing trials and tribulations of love and longing. It has been a privilege for me to have been able to fulfil my promise to Larry and to be able to be once again stirred by his world of amore. short and sweet press presents: long-stemmed roses, by Larry Kimmel. A collection of cherita selected and sequenced by ai li, creator of cherita. 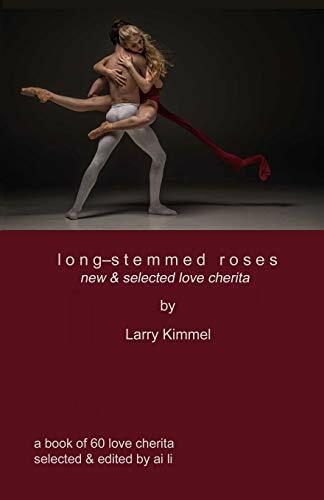 In his latest collection long-stemmed roses, Larry Kimmel approaches the love poem in a fresh, bold way. Laced with sensuality, subtly touched by longing and saturated with passion—these cherita speak (or rather whisper) to the lover in us. As explored so skillfully in this poetry collection, love is so much more than just ‘being in love’. It is all the sensations of longing, of losing, of letting go, of not living up to expectations, and sometimes, of keeping secrets and/or just being moved by the moment. This edition of pieces of sky showcases 90 fine cherita from writers and poets who hail from UK, USA, Singapore, New Zealand, Ukraine, India, the Kingdom of Bhutan, Canada, Lithuania, Australia, Ireland, Romania, and West Africa. I have thoroughly enjoyed selecting and collating all your cherita for this Summer edition. The cherita terbalik [pronounced chair-rita tur-bar-lake] can be written with stanzas of [3-2-1], [2-1-3], [1–3–2],] 2–3–1] and [3–1–2] and with up to 3 partners. I hope you will all try this either solo or with your writing friends and submit your best efforts to me. Your loyalty and storytelling with cherita continue to inspire me and help me with the ongoing production of the cherita. Your cherita ensure that the quality of the poems is met, which in turn ensure that each edition of the cherita remains top notch to showcase your work. I cannot thank you enough for your ongoing support, the sharing of your stories, all of which gives flash fiction a new heightened dimension for us to revel in. december loneliness is the title of her first cherita and tanka book which features 90 virgin poems with a one poem to a page format, and now available in print and on kindle on Amazon. It is also her twenty third book, and belongs to her Poems for Inner Rooms series. ai li has also successfully migrated three of her earlier kindle books into paperback on Amazon. She has decided to give them all a new colour cover along with a minor revised layout design which is all part of the mini makeover. the taste of shadow, flame trees and blood sisters join december loneliness in this book launch today. I will be offering Cherita writing classes from Monday 1 October 2018 at the University of the Third Age, Old Town Hall, 213 Haverstock Hill, London NW3 4QP, England. This will be a weekly hour long class which will be held in Room 1.26. The class will start at 10.30 am and finish by 11.35 am. The room can take a maximum of 16 individuals but I have decided that a maximum of 10 people would give me more time to engage with everyone. All are welcome. I look forward to meeting all cherita enthusiasts. We will sit around a metaphorical campfire and invoke the storyteller who lives in all of us. You will have to become a member of U3A to enrol in all their classes. N. B. Details for my class will not appear on their programme until their Update as I only registered with them yesterday. The new edition of i find one cloud, showcases not 77 but 90 fine cherita from poets who hail from UK, USA, Singapore, Ireland, Australia, Poland, India, China, Italy, Romania, New Zealand, Lithuania, Canada, Ukraine, and the Kingdom of Bhutan. It appears that cherita has reached out to the Kingdom of Bhutan and Ukraine. For the last 365 days, according to our website statistics, we have had 137,311 visits up until 1 July 2018 which is more than encouraging for a 21 year old short form. This is all down to your enthusiasm and support for cherita. Thank you. If you keep sending in your cherita gems, I hope to be able to showcase 90 poems for each edition from this edition onwards. Having said that, what I will unfortunately be stopping is the collection of images for each edition on the Kindle versions of the journal. I will miss the joy of selecting these images to enhance each cherita. My workload is getting increasingly heavy and if I do not have to trawl through thousands of images to select the right ones for each published cherita and edition, then my time can be spent expanding the cherita. In this instance, it would mean being able to accept and showcase another 12 fine cherita for each edition. I feel that it may be a good trade off long term as my intention is to continue to ensure that I can cut the waiting time for poets to see their work in the cherita where I can. An extra twelve cherita for each edition will most certainly help. cherita terbalik continues to capture the imagination of poets and there are fine examples in this edition. I hope you will all find this edition of the cherita a worthy addition to the cherita stable. My grateful thanks as always to all our contributors, readers and supporters for their loyalty and their storytelling without which the cherita would just be a book with blank pages. The very sad news of the sudden death of haiku poet Angelee Deodhar has just reached me. Please join me in remembering her via two of her haiku which I had the great pleasure of selecting and publishing in still. I hope you continue to have success with the Cherita. Just a quick one to congratulate you on cherita’s 20th anniversary. Thank you so much for giving us this beautiful genre. Warmest wishes to you and your cherita form, as always. Sending a bouquet of anniversary wishes to you! Thank you for creating the wonder that is cherita! This book will be the first book of Cherita to be published in India and the first book of cherita to have translations in Punjabi and Hindi. The first ever Cherita contest closed on 15 June 2018 and I have selected 6 fine cherita for the winning spots. There are now 3 winners and 3 honourable mentions to grace the next edition of frameless sky. Christine L. Villa has posted the names of the winners and honourable mentions of frameless sky’s website. 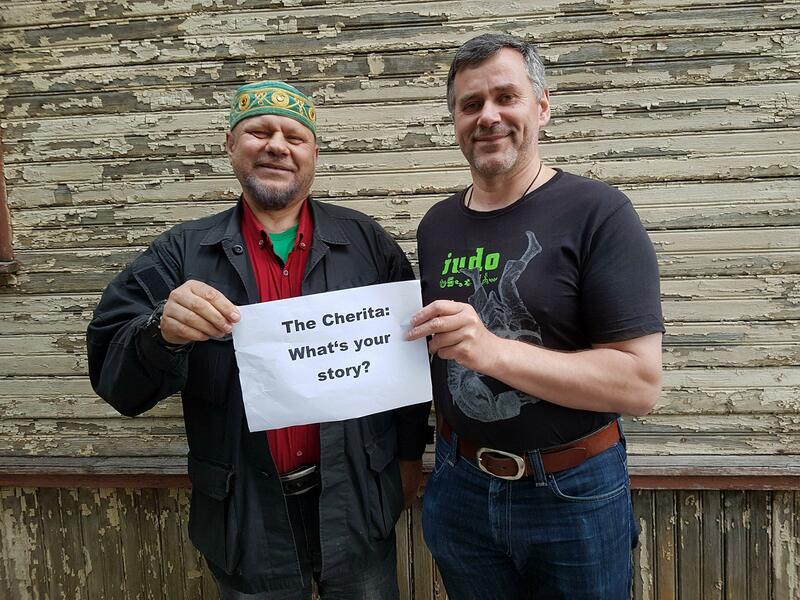 I have written a closing statement for Mad about Cherita along with a short recording of me thanking everyone who participated in this exciting event. These can be read and heard on the Mad about Cherita Contest 2018 page. Do please keep writing cherita. Your stories need to be told and read. There are only 13 days left to go before the 30 June deadline for all your cherita submissions for the fourteenth edition of the cherita #2:2, edited by ai li, launching in July 2018. If you have not had a chance to read the cherita, which has one poem to a page for maximum stillness, and are tempted to, this is a chance for you to experience the diversity of cherita and engage in the timelessness of storytelling. I don’t know how long Amazon.com is running this promotion for, and so if this offer interests you, please do take advantage of it while Amazon.com is offering this wonderful deal. The results for Mad about Cherita will now be announced on frameless sky’s website on 20 June 2018 at 7.00 pm [PST]and not on 30 June as previously stated. Thanks. You have only 5 days left to send in your entries for the first ever Cherita contest which closes on 15 June 2018. I look forward to reading and receiving your stories. Do send me your gems. You may remember that on 3 may, I announced the launch of Celestine Nudanu first book of cherita Whispers of Dawn. This book will also be available on Kindle soon. If you are not familiar with Celestine’s cherita, now may be a good time for you to discover what a fine poet she is. The anniversary first edition of our second year has launched in print and on kindle on amazon. As this edition is an anniversary special, I have introduced a new feature at the end of the book showcasing twelve cherita by a poet fresh to the genre. His work is raw, uncompromising and authentic, and he has no fear of writing about this personal truths. shadow dancer, showcases 89 fine cherita from poets who hail from UK, USA, Singapore, Australia, Ireland, New Zealand, Croatia, Trinidad and Tobago, Sri Lanka, Poland, Lithuania, Italy. West Africa, India, South Korea and China. We also have our first cherita poet from China and one from South Korea. It appears that cherita has really become the fully fledged crane I wrote about last year on its twentieth birthday. Its journey knows no bounds. Starting with this edition, the journal will also now be known as just the cherita. I have decided to abbreviate the name as it is less of a mouthful to write down and to read out. cherita terbalik seems to captured the imagination of a number of poets and there are eighteen fine examples in this edition. The interest in terbalik seems to be growing with more and more writers and poets experimenting with the 5 different formats it can be written in. My heartfelt gratitude and thanks to everyone who has supported me and the cherita over the past year. Your strong support has made it possible for the campfires of storytelling to burn ever so brightly with the sharing of stories all over the world. Our website has had visitors from nearly every corner of the globe pass through again and again. Thank you for your all stories for this special edition. They will now go out into the universe to captivate other fellow storytellers with their own brand of magic and stardust. You have 16 days left to send in your entries for the first ever Cherita contest which closes on 15 June 2018. Do send me your best. The first ever cherita contest officially opened on the 15 May and your cherita entries have been arriving from different parts of the world. Please keep your entries coming in until the 15 June which is the closing date. Let us make this a contest to remember for its cherita gems. “It is my pleasure to inform you that readings yesterday in Kaunas had a great success. As far as this event was actually part of “Poetry Spring” readings of traditional verses in Lithuanian, so did I translating your cherita “Where did love go?” and some other cherita (“At the corner”, “We are enjoying autumn”, “She left a note”) from “And so we danced” into Lithuanian. I also gave a brief introduction to the history and form of cherita, informed about the first cherita contest “Mad About the Cherita Contest 2018”. I can’t thank Arturas enough for his generous help and unfailing enthusiasm for cherita and short form. In celebration of frameless sky’s Mad about Cherita Contest 2018 which opens on Tuesday [15 May – 15 June 2018], I have launched stolen nights – my second book of exclusively cherita which is available on Amazon in print and on Kindle. I have also successfully migrated my three other personal books of cherita, tanka and haiku into print on Amazon to complement their Kindle versions. I have listened to your requests and have acted accordingly. My plan is still to migrate my 18 other kindle books into print and will do so gradually over the course of the year. 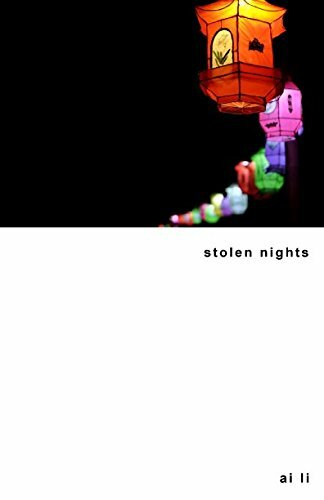 stolen nights is the title of my new second Cherita book which features 90 virgin Cherita with a one poem to a page format, and now available in print and on kindle on Amazon. 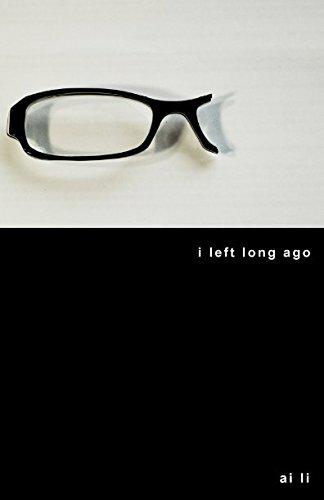 i left long ago is the title of my very first Cherita book which features 90 virgin Cherita with a one poem to a page format, and now available in print and on kindle on Amazon. 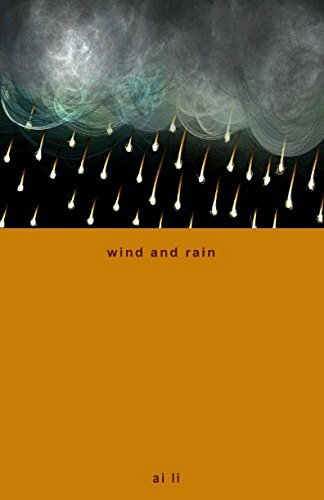 wind and rain is the title of my first exclusively Tanka book which features 90 virgin Tanka with a one poem to a page format, and now available in print and on kindle on Amazon. 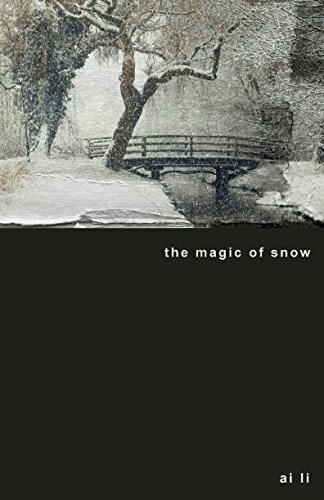 the magic of snow is the title of my first exclusively Haiku book which features 90 virgin Haiku with a one poem to a page format, and now available in print and on kindle on Amazon. I look forward to receiving all your Mad about Cherita entries. 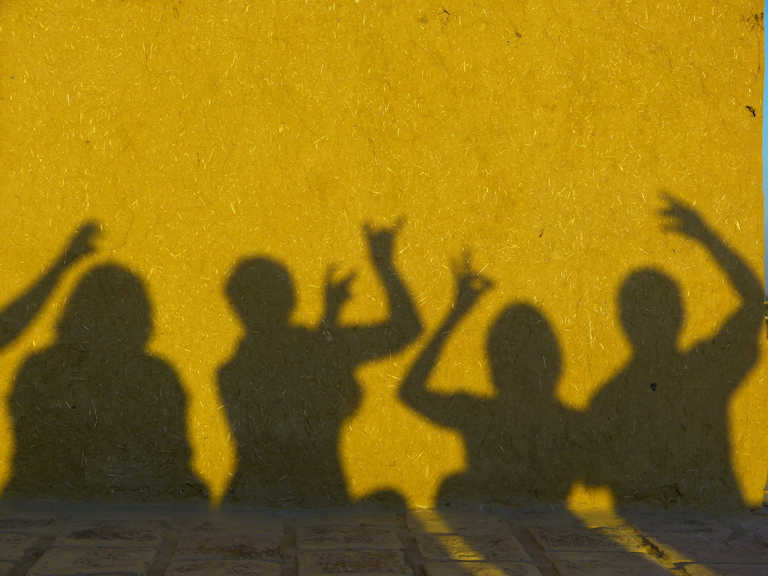 You can submit up to 9 entries per person so please find your inner storyteller and discover how really connected we are to one another through the timelessness of your cherita stories. Please submit your best efforts. Readers of the cherita will be familiar with the strong work of Celestine Nudanu. She has just published her first, and the first Cherita Collection in Africa. What a fine achievement ! Celestine is a fearless poet and she writes her Cherita from a place of truth. for full details [i.e. price, postage and packing etc.]. She plans to offer the book for sale on Amazon as soon as she is able to do so. With Whispers of Dawn, A Book of Cherita, Celestine Nudanu lights up the torch for Africa as the first practitioner of the minimalist poetry form, the Cherita, (a Malay word for story or tale created by ai li in 1997). The first ever Cherita collection to be published in Africa, Whispers of Dawn recounts Celestine’s personal story with sublime honesty, baring leaf by leaf, her disappointments, wishes, dreams etc. and boldly spilling out love betrayed and dreams deferred, often revealing to bare bones moments and situations where others would prefer to camouflage. Celestine writes with grace and exceptional poignancy, allowing the reader to ponder over her words and reflect on her story long after the pages have been closed on this collection. Please listen to her and you will never be the same again. Co-Founder, African Haiku Network and Co-Editor, the Mamba Journal. A collection draped in poetic beauty, evocative in its simple but deep-layered imagery. Dr. Mawuli Adzei, Department of English, University Of Ghana. Celestine Nudanu is an exceptional poet. Her commitment to honing her craft is absolutely impressive. Fantastic. not a memory, exactly, showcases 77 fine cherita from poets who hail from UK, USA, Singapore, Australia, Ireland, New Zealand, Croatia, Trinidad and Tobago, Sri Lanka, Poland, Lithuania, Italy and India. Twelve cherita terbalik or inverted cherita in the 3-2-1, 2-1-3 and 2-3-1 formats are also featured along with one written by three poets within this edition for your enjoyment and inspiration. I would like to thank all the contributing poets of edition twelve for their strong poems which have helped make this edition another warm and rich cherita book. For all the writers, poets and readers of the cherita – your generous support for the genre and journal has meant we are able to begin our second year of publication from June next month when cherita is also 21 years old, with a new burst of excitement and optimism for the next upcoming twelve editions of the cherita. I have just posted frameless sky’s Mad about Cherita Contest 2018 details on our website. Please peruse this page if you are interested in sending in your previously unpublished cherita entries. Mad about Cherita Contest 2018. I will be judging the contest and I hope you will send in your cherita gems. Let us all keep storytelling alive ! are now in print and on kindle on amazon. For no sat nav … no map … no regrets, Larry Kimmel has selected 76 new and original cherita by 32 poets from the UK, USA, India, Australia, Ireland, Canada and West Africa. ‘As in the inaugural June edition there are images to enliven the pages, though I have not attempted the epic one image per cherita format of ai li’s flagship edition. Just a pinch of spice, here and there. I hope you will delight in the storytelling within as much as I did. The collection has been designed to showcase individual cherita, but is also designed to be read as a single long poem, which can be thought of as a fragmented stream of consciousness, one plucked from our common understanding, our shared awareness. For be amazed, he has selected 86 new and original cherita by 38 poets from England, Canada, Australia, New Zealand, Philippines, India, Ghana and the USA. I apologise for the delay in migrating these two editions, and hope you will now be able to enjoy both editions fully. There is still Larry’s edition six left to migrate into print and this should hopefully be not too long in the future. Thanks for your patience. This edition of the cherita launches from London as I am now back from Singapore. on a quiet street showcases 77 fine cherita from poets who hail from UK, USA, Singapore, Australia, Canada, Ireland, New Zealand, Croatia, Trinidad and Tobago, Sri Lanka, Poland, Lithuania and West Africa. Six cherita terbalik or inverted cherita of the 3-2-1 format, are also featured within this edition for your enjoyment and inspiration. I have edited this edition as I have all the other editions of the cherita, to be experienced two ways. 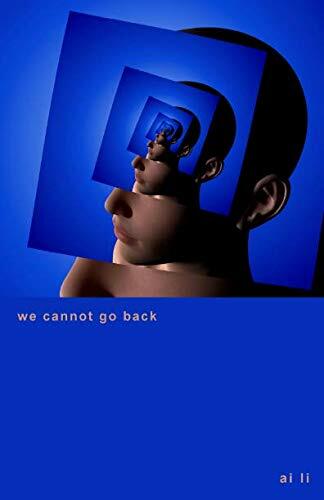 It can be read as one storybook but also as an anthology of individual poems. Two reading experiences within one book, filled with stories of spring and renewal. The cherita terbalik [pronounced chair-rita tur-bar-lake] can be written with stanzas of [3-2-1], [2-1-3], [1–3–2],] 2–3–1] and [3–1–2] and with up to 3 partners. I hope you will all try this either solo or with your writing friends and submit your best efforts to me. This edition features the 3-2-1 format. The 2-1-3 format will be featured in a forthcoming edition of the cherita. My grateful thanks go out to all the poets who helped make edition eleven another strong book of your stories. Your loyal and continued support is something I do not take for granted. There are only 16 days left to go before the 31 March deadline for all your cherita submissions for the eleventh edition of the cherita, edited by ai li, launching in April 2018.
now I listen, Edition Ten of the cherita has just launched from Singapore, the lion city, my spiritual home, and is now available in print and on kindle on Amazon. I spent most of my school holidays on this tropical island where my maternal grandmother was born, and where the foundation of my family’s gift of storytelling was laid, and where it continues to weave its magical spell on me. This edition showcases 77 fine cherita from poets who hail from UK, USA, Singapore, New Zealand, Canada, Australia, Ireland, Croatia, Sri Lanka, West Africa and Lithuania. Eight cherita terbalik or inverted cherita, to include one 2-1-3 format, also feature within, along with three collaborative cherita. The cherita terbalik [pronounced chair-rita tur-bar-lake] can be written with stanzas of [3-2-1], [2-1-3], [1–3–2],[ 2–3–1], [3–1–2], and with up to 3 partners. I hope you will all try this either solo or with your writing friends and submit your best efforts to me. This edition features the 3-2-1 and the 2-1-3 formats. I would like to thank all the contributors whose poems helped make this edition another strong storybook of cherita. Costa Rica, Guam, Malta, Haiti, New Caledonia, Liberia, Congo, Cameroon, Curacao, Bhutan, Suriname, Botswana, Uganda, Seychelles, Tajikistan, Cayman Island, Malawi, Togo, Barbados, Oman, Tanzania, United Republic of, Zambia,Myanmar, Mongolia, Faroe Islands, Kyrgyzstan, Libya, Martinique, Nepal, South Sudan, Tonga, Mozambique, Zimbabwe, Montenegro, Azerbaijan, Portugal, Albania, Bangladesh, Nigeria, Mozambique, Peru, Paraguay, Martinique, Belize, Dominican Republic, Maldives , Korea, Malaysia, Japan, Croatia, Switzerland and Senegal. Your contributions have given cherita an even larger pair of wings, connecting all our stories worldwide. There are only 17 days left to go before the 28 February deadline for all your cherita submissions for the tenth edition of the cherita, edited by ai li, launching in March 2018. Please be aware that US buyers of the print versions of the cherita will be offered the kindle version which includes the specially selected images for each cherita by ai li which, in themselves, tell their own stories] for only $2.99, via the Amazon Matchbook program [only available in the USA]. Please also be aware that due to limitations in the Amazon publishing process, it may take several days after a book launch, for the Amazon Matchbook offer to appear. If you are in the USA, and have already purchased both print and kindle versions of the cherita, and did not receive this offer, please contact Amazon for a refund of the difference. This edition showcases 77 fine cherita from poets who hail from UK, USA, Australia, Singapore, India, Canada, New Zealand, Ireland, Lithuania, Sri Lanka, Poland and Croatia. Four cherita terbalik or inverted cherita are featured along with two collaborative cherita. Larry Kimmel very kindly reminded me recently, that many moons ago, in an email to him, I coined the name for the inverted cherita using the Malay word terbalik which means reversal or upside down. I can’t thank him enough for recalling that email of mine. The cherita terbalik [pronounced chair-rita tur-bar-lake] can be written with stanzas of [3-2-1], [2-1-3], [1–3–2],] 2–3–1] and [3–1–2] and with up to 3 partners. I hope you will all try this, either solo or with your writing friends, and submit your best efforts to me. This edition features the 3-2-1 format. The 2-1-3 format will be featured in a forthcoming edition of the cherita. So far, the response to the print and ebooks have been more encouraging than I had hoped. Thank you all for your continuing support. I am saddened to learn from Alexis Rotella of the death of Johnny Baranski. My thoughts are with his family and loved ones. I had accepted Cherita from Johnny for Editions 9, 10, 11, 12 and 2:1. I am sorry that he will now not be able to see their debut, but am comforted that his stories and words will continue to live on in print. Thank you Johnny for your kind support. We will miss your poetic voice. There are only 9 days left to go before the 31 January deadline for all your cherita submissions for the ninth edition of the cherita, edited by ai li, launching in February 2018. UK, USA, Puerto Rico, Bulgaria, Republic of Korea, Colombia, France, Thailand, Russia Federation, Brazil, Turkey, Ukraine, Italy, Romania, Australia, Ireland, Canada, India, Philippines, Pakistan, Malaysia, Indonesia, Reunion Island, Israel, Spain, Taiwan, China, Hong Kong, Azerbajian, Mexico, Vietnam, Lithuania, Germany, Netherlands, Algeria, Luxembourg, Croatia, Poland, Jamaica, Slovakia, French Polynesia, Kuwait, United Arab Emirates, Georgia, Argentina, Saudi Arabia, Nigeria, Serbia, Slovenia, Bangladesh, Republic of Moldova, Bosnia and Herzegovina, Japan, Belgium, Kazakhstan, Egypt, Singapore, Ethiopia, Cyprus, Sweden, Jordan, Qatar, Ecuador, Republic of Iran, Bolivia, Benin, Mauritius, Denmark and Czech Republic. Macedonia, New Zealand, Sri Lanka, Ghana, Hungary, South Africa, Trinidad and Tobago, Kenya, Albania, Finland, Switzerland, Cambodia, Greece, Morocco, Estonia, Iceland, Byelorussian SSR, Guatemala, Antigua and Barbuda, Tunisia, Sudan, Macao, Senegal, Bahrain, Panama, Cote d’ivoire, Chile, Norway, Greenland, Madagascar, Iraq, Cuba, Uzbekistan, Cyprus, Armenia, Angola, Brunei Darussalam and Latvia. ai li has started to read submissions for #9, February 2018 [Deadline 31 January 2018], the ninth edition of the cherita. Edition eight of the cherita has launched on New Year’s Day. You will now be able to read this in print and on Kindle on Amazon. After your enthusiastic and very encouraging response to the print edition of edition seven, I have decided to make available to all our readers the choice of two reading formats. The e-book will retain the images but these will not be in the print books for reasons of cost. I will also be retiring the Archives page on our website along with the flipbooks as we have now started to migrate all archival editions into both formats. 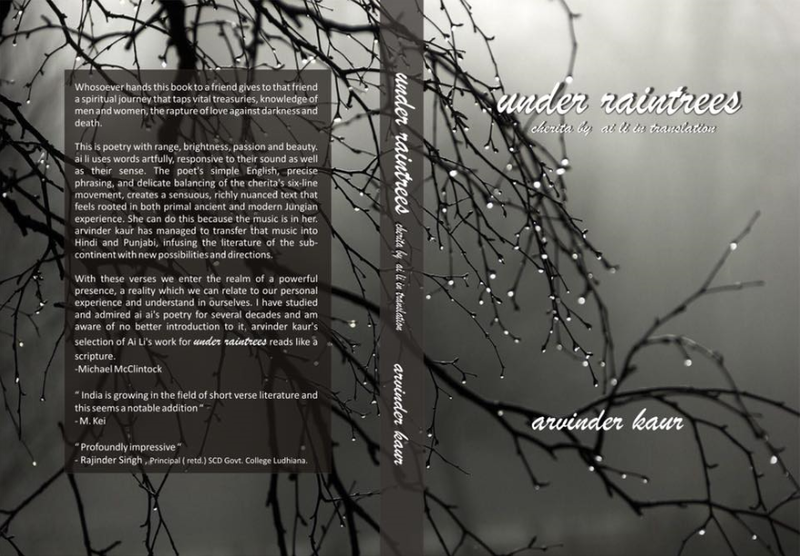 telling a story, our inaugural edition, find me – third edition, where the river bends – third edition [second volume], let it rain – fifth edition, when I can’t sleep – fifth edition [second volume], a visit across decades – seventh edition, and the current eighth new edition Winter, no fixed abode are currently available on Amazon in both print and in Kindle. I have refreshed our website to accommodate all changes. Larry Kimmel’s three editions [four volumes] will join these formats soon. As they are slightly different in layout design, I will need to spend a little more time on these to get them into a similar layout format as this will make my workload that much easier. Please bear with me on this. Wishing you all a Happy New Year and may love and light be with you always. Thank you again for all your support and wonderful stories for the cherita without which there would have been no once upon a time . . .